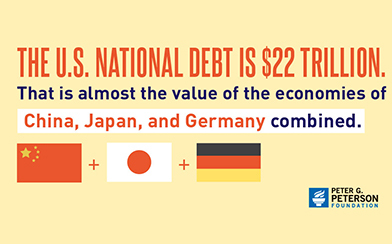 Home | Infographic: How Does the National Debt Affect the Economy? Policymakers and pundits often depict fiscal responsibility and economic growth as being at odds with one another. 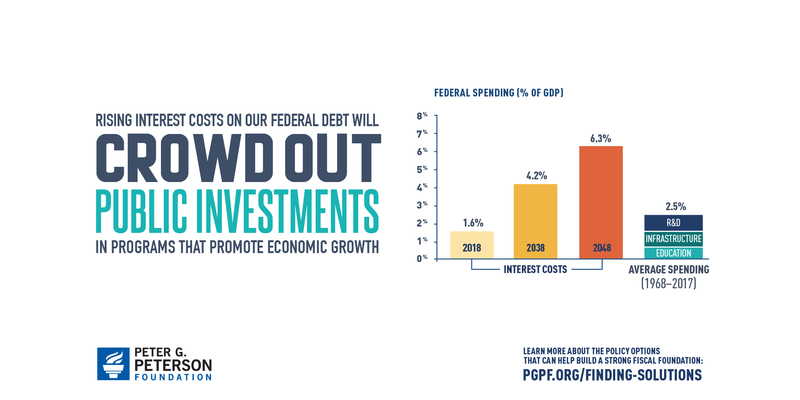 In truth, however, a strong fiscal outlook is an essential foundation for a growing, thriving economy. 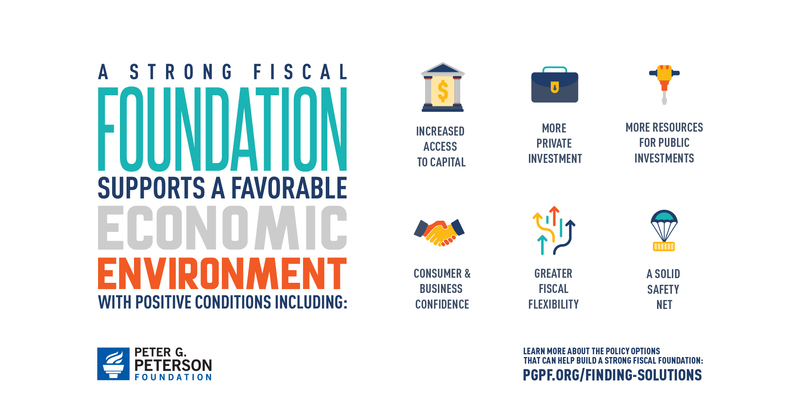 With a strong fiscal foundation, the nation will have increased access to capital, more resources for public and private investments in our future, improved consumer and business confidence, and a stronger safety net. Unfortunately, the opposite is also true — and the United States does not currently have a strong fiscal foundation. The amount of debt relative to the size of the economy is about the highest it has been since just after World War II and is projected to climb significantly in coming years. 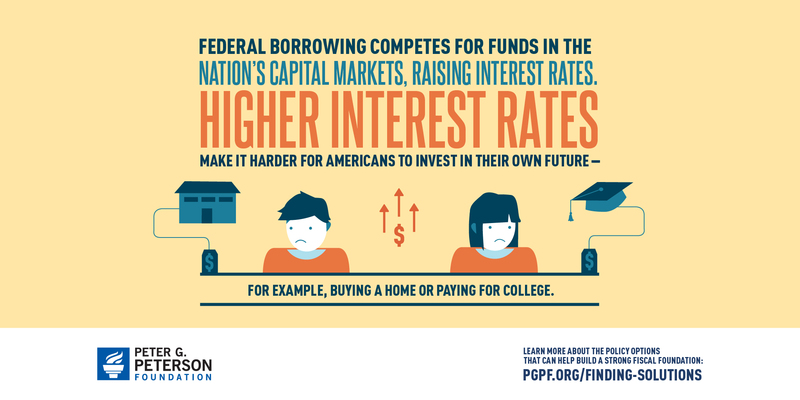 The good news is that improving our fiscal outlook can result in positive economic gains. 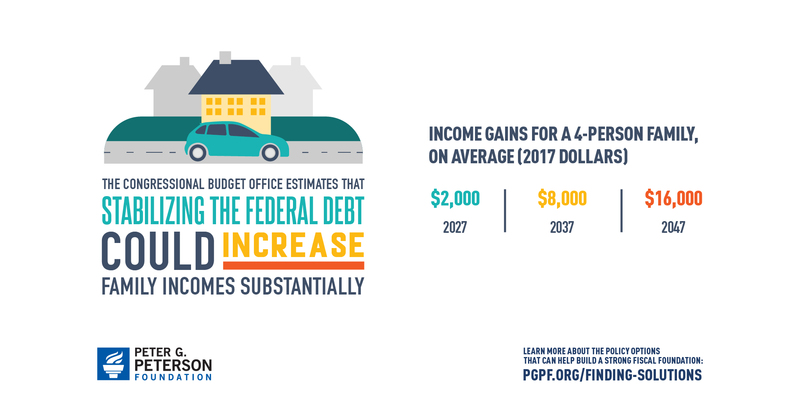 For example, a study by Macroeconomic Advisers found that lawmakers can stabilize the fiscal outlook while providing long-run economic benefits for American families. 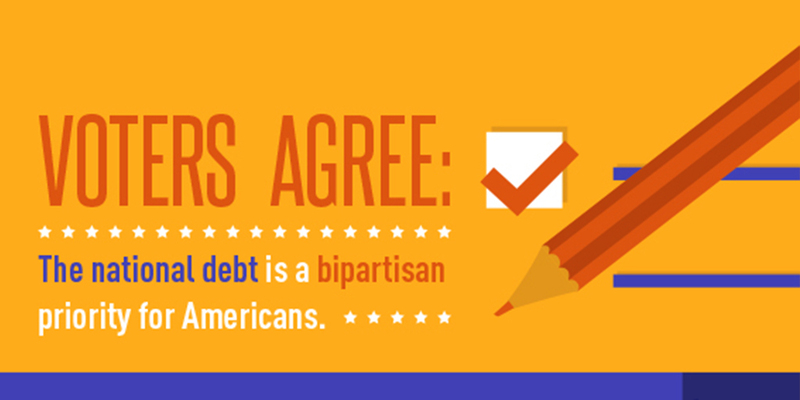 Learn more about the relationship between the national debt and our economy in the infographic below, and read about some of the potential policy solutions. Feel free to share this infographic on Twitter. The dust has barely settled on the midterm elections, but there are a number of key fiscal issues not only facing the current Congress in coming weeks, but also awaiting the new Congress, which will convene in early 2019.